The True Gossip Home / jonas brothers cover rolling stone magazine july august summer issue again second nick joe kevin / JONAS BROTHERS COVER ROLLING STONE- AGAIN! 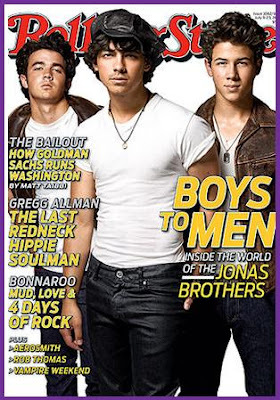 JONAS BROTHERS COVER ROLLING STONE- AGAIN! 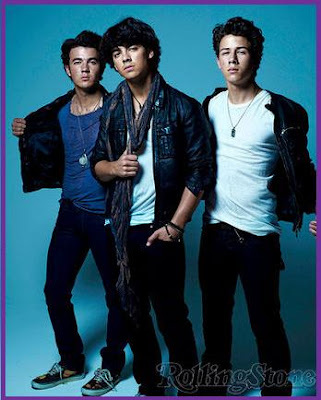 This has been quite a year for Nick, Joe and Kevin Jonas. The Jonas Brothers released their fourth album, Lines, Vines and Trying Times, they're selling out tickets to their World Tour, and for the second time, they'll be on the cover of Rolling Stone Magazine. The boys took the cover last summer, and now they're taking it for the July 6 - 23rd issue. Check out the cover above! To catch the JoBros behind-the-scenes of their shoot, videos and pictures will soon be uploaded to RollingStone.com/Jonas.